We send assorted colors according to stock. Please leave note for specific colors for availability. We Are Almost Sold Out, To Guarantee Your Order Please Act Fast. Fidgeting has proven positive effects for children and adults with ADD, ADHD, Autism, Asperger’s, and other disorders. However, fidgeting also has positive effects for people without a specific disorder. Fidgeting is something most people do without even realizing it. It stimulates thinking, eases stress, calms nerves, and alleviates anxiety. It also gives people something to do if they feel restless or bored. Fidgeting can even help to stop nail biting, smoking, and overeating! Free Shipping on all orders! There is no limits. 7-day ToysOXO Money-back Guarantee on all products. Our #1 goal is so make sure our customers are satisfied. We will ask that if you’re not satisfied to ship it back to our warehouse for a refund. Refunds typically take 24-48 hours to process. 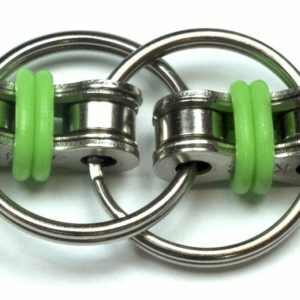 Fidget toys take that simple, yet effective practice to the next level, providing you with a way to discharge your stress and anxiety in a quick and effective way, regardless of where you are. Simply hold this spinner in one hand then use your other hand to spin it rapidly using small continuous strikes to keep it spinning indefinitely. It will take a little bit of practice to get some decent action going, but it is super easy to happen plus you will be thrilled by the fast, length spins. Designed to relieve stress, anxiety, ADD &ADHD,autism. Helps you to stay focused. Perfect toy gift for both kids and adults. Flick and spin for hours using one or both hands. 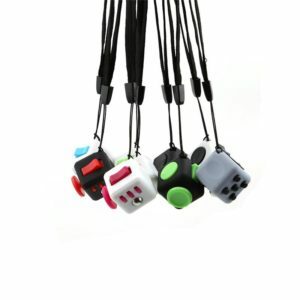 Great toy for fidgeters. How to use LED Batman Fidget Spinner? Hold spinner in one hand and use the other hand to spin it rapidly using small continuous strikes to keep it spinning indefinitely. 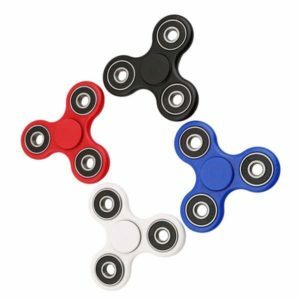 Fidget spinners gained popularity with increased use by those suffering with stress disorders such as ADHD and Autism. 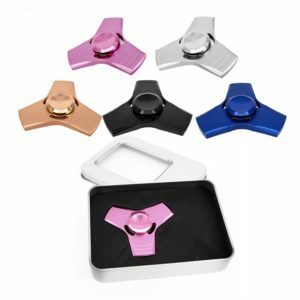 They are now used everyday to subside or stop nervous effects of these disorders and promote calm and focus by using the spinner’s stimulation to occupy the urge that would normally produce other undesired behaviors. This high precision crafted hybrid ceramic bearing model ensures the smooth function, fast speeds and long spin times that place our spinners among the finest in the industry. 100% Satisfaction Guarantee – if you are not satisfied with your purchase, contact us immediately and give us an opportunity to assist you. Your satisfaction is our #1 goal! Reboot your creative flow – Did you know fidget spinners are not just good for your stress levels but have also been known as a kind of ‘mental coffee bean’. That is, instead of your nose, the spinner can serve to clear your mental palate. When you artists hit that next wall or writers hit that next block, just take a break with your Spinner and spin until those creative coffers are replenished again.